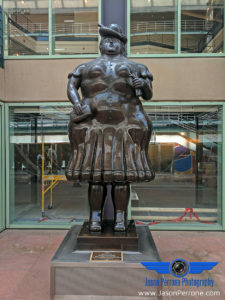 While in Denver another set of sculptures I photographed were the “Man and Woman” by Colombian artist, Fernando Botero. 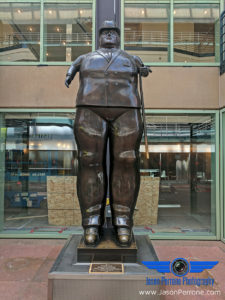 Fernando Botero’s Man and Woman stand 13 foot tall and are made of bronze. These two sculptures were placed outside the Temple Hoyne Buell Theatre in 1998 and since have watched over the crowds of theatre goers. 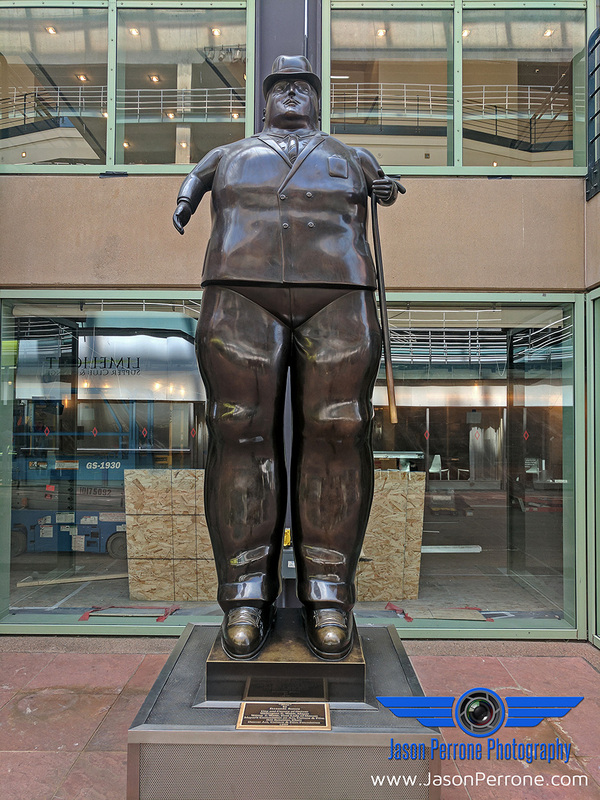 Click the “Play” button below to view the two 360 VR panoramic images of the Man and Woman sculptures by Fernando Botero. To the left are the bronze statues outside the theatre during the day time. At the near by Sculpture park, I also photographed some tall pieces of art. 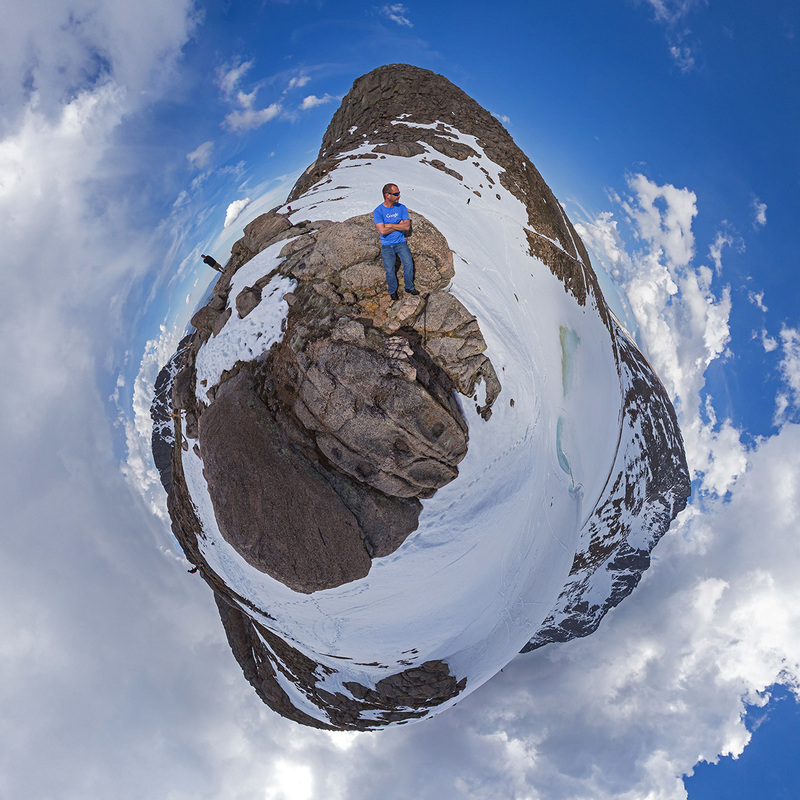 You can view those 360 degree VR images in the previous post.